New D2L Authorized Facilitators to lead Stewards of Children across Saint Lucia. attended a Darkness to Light Facilitator Workshop hosted by Connect 4 Faith. Linda was soon to be on her way to St. Lucia. Her mission: to spend the next year there as a Peace Corps Response Volunteer Social Work Specialist, assisting the Government of Saint Lucia in meeting child protection mandates as outlined in the Convention on the Rights of the Child (CRC). That year is complete. Linda has worked tirelessly to educate the people of St. Lucia in child sexual abuse prevention. Services are limited and prevention is critical to help the children in the Eastern Caribbean, where it's estimated 1 in 4 are victims of CSA (child sexual abuse). Kelly is a Certified Instructor with Darkness to Light (D2L) and went to St. Lucia as a trainer of trainers. 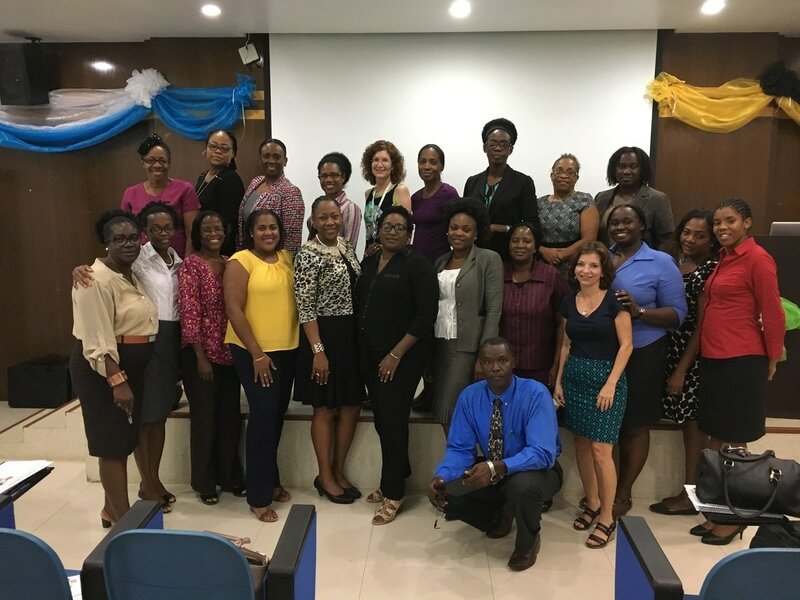 Through training new Authorized Facilitators to lead Stewards of Children sessions throughout St. Lucia, knowledge and awareness will quickly spread. Teachers and citizens will be better equipped and trained to prevent the horrible crime of child sexual abuse. Kelly and Linda also provided additional related supplemental training and resources. Kelly is passionate about helping to effect cultural change to eradicate child sexual abuse and exploitation. Please help fund this initiative in a country where the average median income is about $11,000 USD. Funds are needed to sponsor new facilitators for St. Lucia, paying the training registration fee of $450. This fee includes a starter supply of training workbooks (to train 20 other citizens in Stewards of Children), ensuring the new facilitators have what they need to hold Stewards of Children sessions, passing on the knowledge to others to prevent, recognize, and respond appropriately to child sexual abuse. Designated in the memo line for "St. Lucia." Help provide supplemental training materials to help protect more children in St. Lucia. ​Training materials are a necessity to sustain the initiative. ​This is an ongoing opportunity and funding need. We appreciate your prayers and financial support. Please contact us with any questions.